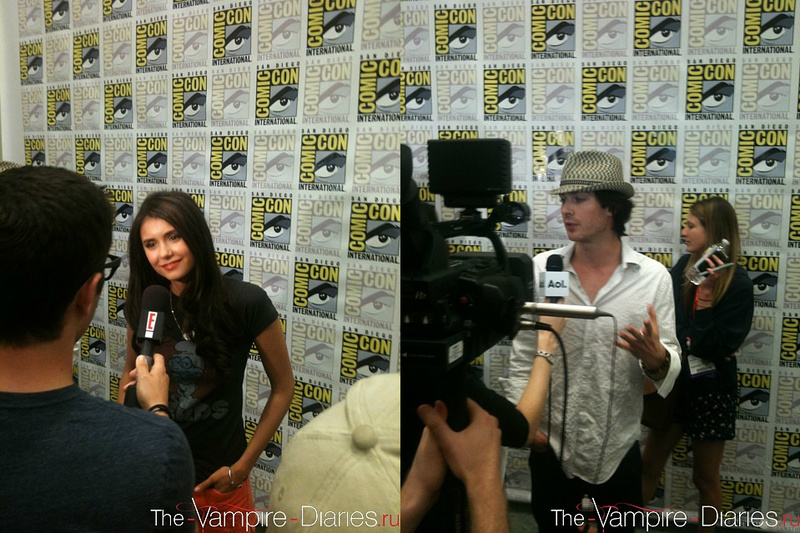 Ian/Nina @ Comic-Conღ. Ian/Nina @ Comic-Conღ. HD Wallpaper and background images in the Ian Somerhalder and Nina Dobrev club tagged: ian somerhalder nina dobrev the vampire diaries nian. This Ian Somerhalder and Nina Dobrev photo might contain sign, poster, text, chalkboard, street, city scene, and urban setting.